Twenty-five years since THE SANDMAN first changed the landscape of modern comics, Neil Gaiman’s legendary series is back in this never-before-told tale featuring Morpheus! 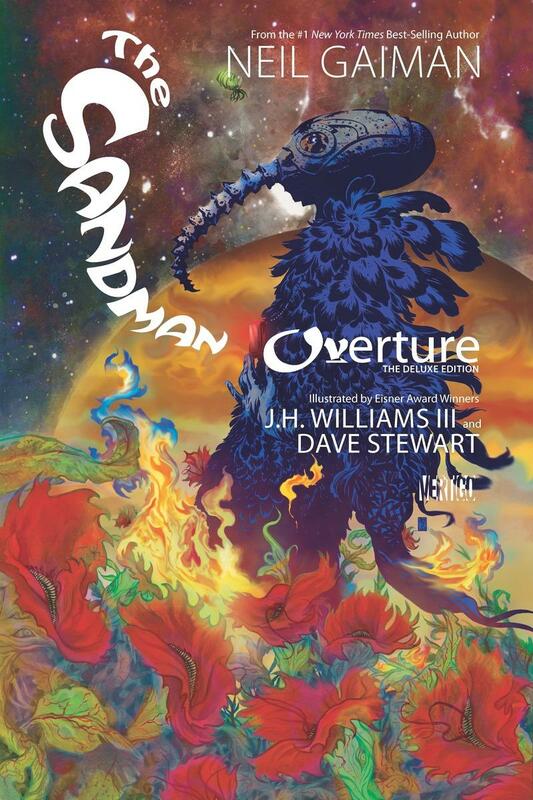 THE SANDMAN: OVERTURE heralds New York Times best-selling writer Neil Gaiman’s return to the art form that made him famous, ably abetted by artistic luminary JH Williams III (BATWOMAN, PROMETHEA), whose lush, widescreen images provide an epic scope to The Sandman’s origin story. From the birth of a galaxy to the moment that Morpheus is captured, THE SANDMAN: OVERTURE will feature cameo appearances by fan-favorite characters such as The Corinthian, Merv Pumpkinhead and, of course, the Dream King’s siblings: Death, Desire, Despair, Delirium, Destruction and Destiny.